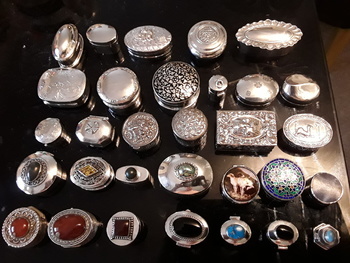 In Silver > Art Nouveau Silver > Show & Tell and Tobacciana > Snuff Boxes > Show & Tell. 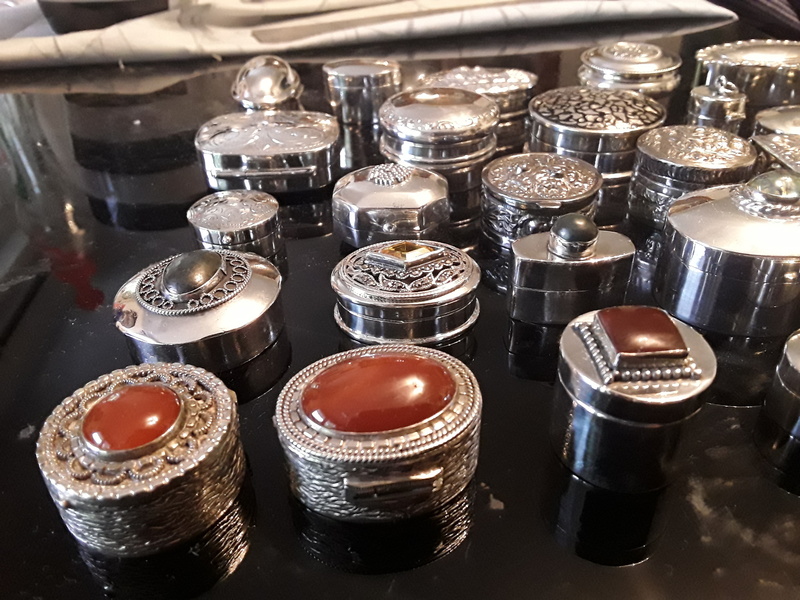 I have been cleaning my silver boxes for the last 3 hours and I am black ! Last did it properly about 5 years ago. 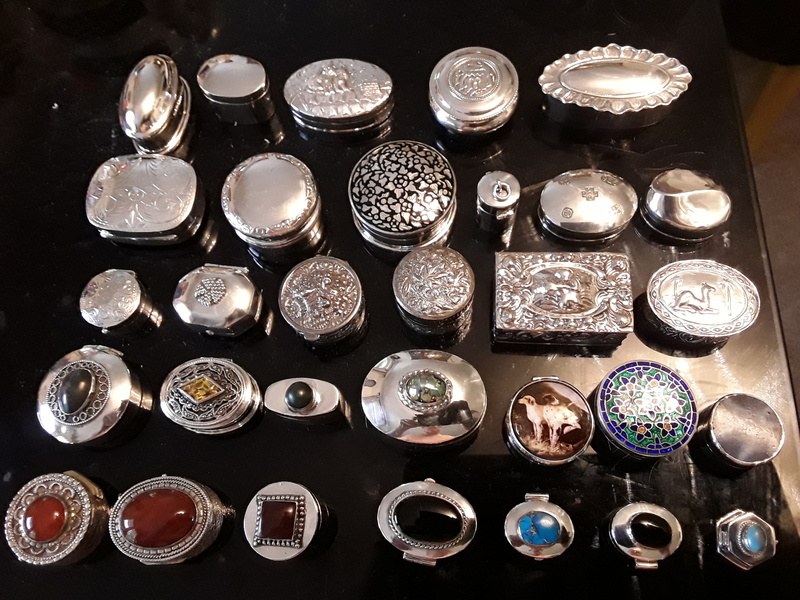 Anyway I amassed quite a few over the years and it's seems nice to show them off. Wow Neil! Great collection you have here! The Black Onyx is amazing against the silver! 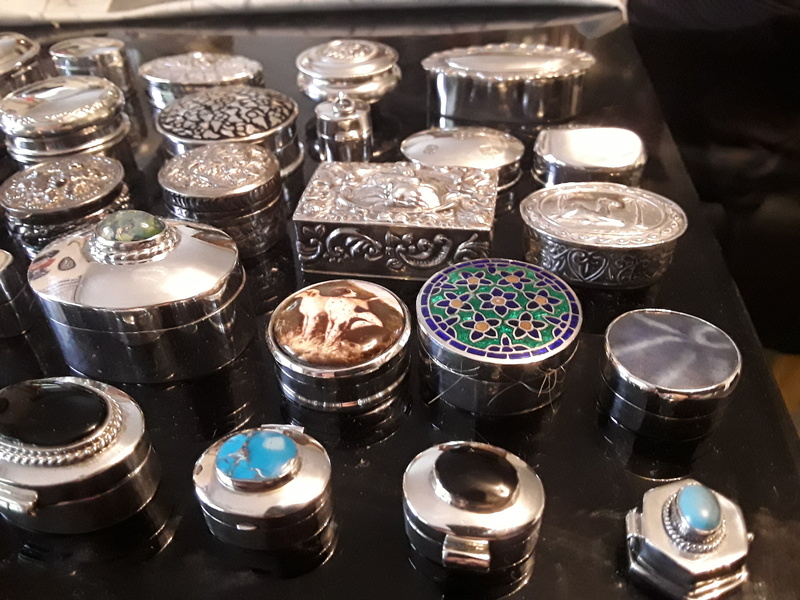 Great collection ,love jeweled snuff boxes. The square one in the third row down is my favourite. I like the one with the dogs! Cheers crswerner for the love. Wow! Great Collection you have there! Wow, what a collection! They are beautiful!